It’s not like I don’t still love Haruki Murakami. I do. Maybe not like I once did– maybe the honeymoon is finally over, though it lasted many years. Many, many terrific writers essentially write the same story over and over again. Some put the same narrator into slightly different situations but basically repeat themselves each time they write something. Sometimes you have to look a little harder than others to see this, but it’s true more often than not. So if you read enough of one author, there’s a danger that it will all begin to wear a bit thin. That’s what’s happened with me and Haruki. The two stories I read for this round in the competition were “The Mirror” and “A Folklore for My Generation” both translated by Philip Gabriel. I enjoyed them both. Both are well written stories. 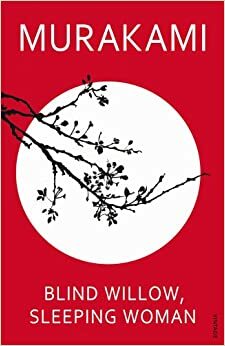 But I’ve just had enough of Mr. Murakami’s passive narrators, these men (mostly young men) who take life in as it happens to them with a bemused, slightly detached attitude as though it’s all kind of interesting but not really unusual. Having read so many of them, I’ve come to long for characters who will at least try to take the bull by the horns once in a while. I think this feeling about Murakami came to a head with Colorless Tsukuru Tazaki and His Years of Pilgrimage which I loved at the time. But it has this passive narrator, this young man whose friends gang up against him when one of them wrongly accuses him of sexual assault. It takes him years to finally stand up for himself. When he finally does, he is so gentle about it, so passive, that his self-defense looks like an act of contrition. He’s a perfect Murakami character. The rest of the cast in the stories I read for this round were all very familiar, too. A slightly wiser, just a bit older friend who serves as a sort-of mentor figure to the narrator and a just-this-side-of-pixie girlfriend or girl friend to round things out. I found myself longing for something new. 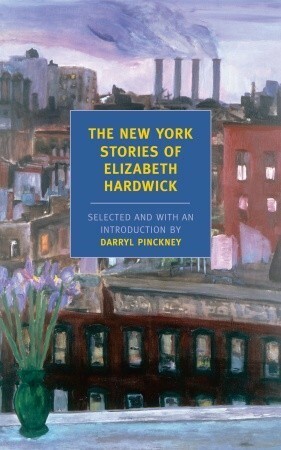 Enter Elizabeth Hardwick and her two stories “Yes and No” and “The Friendly Witness.” Written in the early 1950’s these are hardly new stories, but they are so full of plot, so full of different characters, the writing so full of language, that they feel kind of new. Have we reached a point were rejecting a sparse economy of style in favor of language for the sake of language is new? Can we begin to enjoy wordiness again? I read three fully drawn characters in that paragraph; the Mayor, the woman and the man. Not exactly original characters, we’ve seen them before most of us, but three characters where Murakami and others like him might have included just the Mayor. The other two are not needed to keep the story going or to make the author’s ultimate point. But arent’ they fun? A woman who appears garish even without make-up. It’s nice just to see the word “garish” used without irony. And the man in the end who cuts through the Mayor’s nonsense, sees right through him to find the ineffective factotum who really has no idea what is going on. You advance to the next round. As you hint, there may be a case of the shiny new toys taking over from the tried and tested ones here. Only time will tell as you read more from Hardwick I suppose. But I agree there is a risk that an author finds a formula that works for them and for their readers so why change?